Herald: DOES YOUR SMART PHONE NEED TO PLAY HOLI TOO? DOES YOUR SMART PHONE NEED TO PLAY HOLI TOO? aside and party. As one parties as if there is no tomorrow keep that phone dry. Because life has to go on. Lyndon Furtado of Pacific, an outlet that deals in mobile phones in Panjim said mobile phones had improved dramatically over in the years in terms of water resistance and if one used lamination, it was water proof. The polythene packets, Lyndon said were also very good. He said “If the phone is dipped in water, there will not be a problem. The phone will remain water resistant. However, if you are thrown into a pool along with your phone, then there are no guarantees. The number of cases of phones being affected by water has dropped to one third from fifteen years ago”. Businessman and man about town Vicky Jhangiani, the mobile phone is kept safely in the car during the celebrations. He said “My friends will take photographs and they will send it to me later, so it is not a problem”. 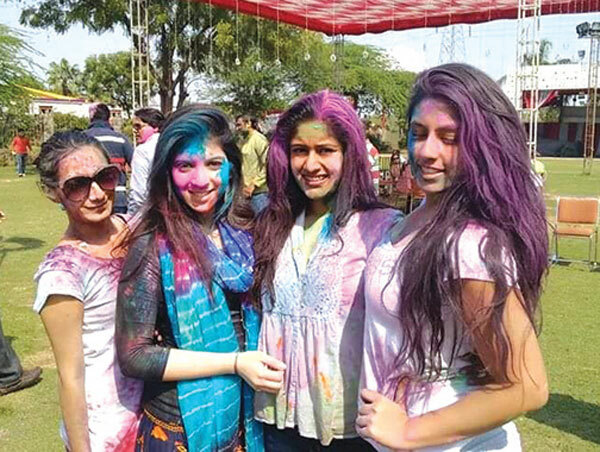 For youngsters like Naidira d souza and Natasha Gonsalves, Holi will be played with great gusto. Both are proud owners of I phones and intend to keep in the dicky of the car or in a plastic bag to ensure it is not damaged. Natasha has been celebrating Holi for more than five years now and has her routine down pat. Her mobile phone which is precious to her will be kept safely and photographs swapped later to keep these memories alive.